Those creepy folks in all the trailers and footage of The Last of Us Part 2 we’ve seen so far are part of a religious cult. 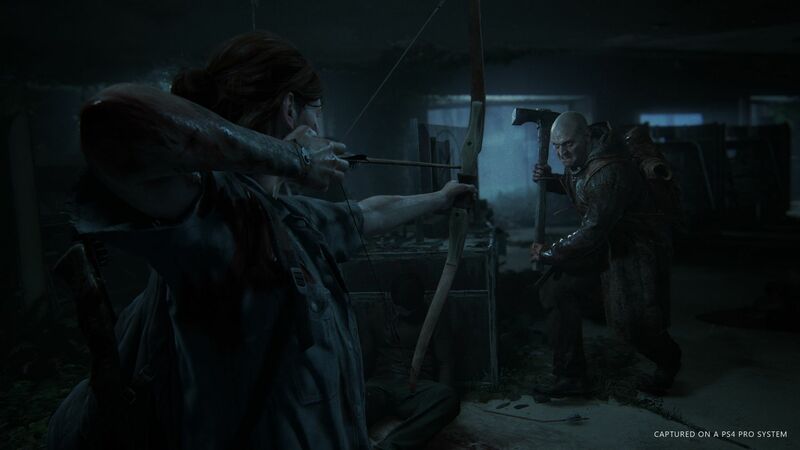 We saw our first gameplay footage of The Last of Us 2 earlier this week as part of Sony’s E3 2018 presentation. In the footage we see Ellie taking on a pretty rough group of folks who seem very set on murdering her. Back in October last year, we got a pretty grim trailer about what seems to be the same loose group of people. Who are these people, and why are they are war with Ellie, who has vowed to kill them all? Talking to Gamesradar, co-directors Kurt Margenau and Anthony Newman have unveiled some details about these folks. They’re called the Seraphites, and they’re a religious cult. According to the interview, “the Seraphites are a more fanatical group, and they center their lives around faith and spirituality in a way that has become kind of fanatical and hostile and aggressive to outsiders”. They certainly seem like a brutal bunch. They’ll communicate to each other with whistles, and they’ll refer to Ellie was “wolf”, which is kind of badass. Interestingly we’ve seen no sign of the Clickers yet, but surely they’re still in the game, right? The Last of Us 2 does not have a release date locked down yet.